Nothing about the title of this post is original. The main title imitates that of an essay by historical sociologist Margaret Somers called ‘Let them eat social capital’, which appeared in 2005. The subtitle and the idea of a genealogy of concepts that situates them in a larger political context draws on an essay by Nancy Fraser and Linda Gordon called ‘A Genealogy of Dependency’, published in 1994. That essay dealt with a word that became current in debates leading up to US social policy changes signed into law in 1996 by then-President Clinton. Those so-called reforms ended a decades-old guarantee of at least minimal income support to households with dependent children that was already among the least generous in the high-income world. In many cases, the destructive effects, in particular those of draconian and arbitrary ‘sanctioning’ regimes, were uncannily similar to those that followed more recent changes to benefits eligibility in the UK. I cannot achieve the depth or sophistication of Somers’ or Fraser and Gordon’s analyses. But I do hope to stimulate critical thought about both the underlying, often unexamined assumptions of the public health vocabulary, and about the policy implications. The concept of resilience is used in multiple ways and multiple contexts. For public health, three are probably most relevant. The first involves disaster planning. I won’t explore that further here, although important political dimensions that parallel the argument I will present are suggested by social scientists who have studied responses to events like the 1995 Chicago heat wave and Hurricane Katrina a decade later. (In the words of an excellent book on the New Orleans experience of the hurricane, There Is No Such Thing as a Natural Disaster.) The definitions on which I will focus are, rather those put forward by psychologist Michael Rutter and by a Canadian research group on resilience in communities. So, first, Michael Rutter: ‘The term resilience is used to refer to the finding that some individuals have a relatively good psychological outcome despite suffering risk experiences that would be expected to bring about serious sequelae. In other words, it implies relative resistance to environmental risk experiences, or the overcoming of stress or adversity’ (citations omitted). There are similar definitions in the literature that are not restricted to psychological outcomes. Then, second, the Canadian group’s take: ‘Resilience is the capability of individuals and systems to cope successfully in the face of significant adversity or risk. This capability develops and changes over time, and is enhanced by protective factors within the individual/system and the environment, and contributes to the maintenance or enhancement of health’. Immediately we see why the conceptual unpacking that is essential is also so difficult. Who would want individuals not to have good outcomes after risk experiences? Who would not want communities to cope successfully, however that is defined, in the face of adversity? My central argument – the take-home message, as the bureaucrats say – is about the need for politically awareness and methodological self-consciousness. A focus on resilience diverts attention from a more important question: the sources of risk experiences and adversities; the political choices that variously drive them, sustain them and magnify them; and the all-important question of who benefits from those choices. In this, as in other work on the politics of health, I draw on an important analysis by Finn Diderichsen and colleagues, who argued the need to locate the origins of health inequalities with reference to ‘those central engines in society that generate and distribute power, wealth, and risks’. I do not for a moment suggest that resilience is used in public health research in the way that dependency was used in the intellectual racketeering that infused the welfare reform debates. I do think that the quest for sources of resilience, and the implicit ascription of responsibility that it entails, unavoidably shifts the focus of research, policy analysis and professional practice away from the ‘central engines’ referred to by Diderichsen and colleagues. This is entirely congruent with a central element of the neoliberal ideological project and policy agenda. Political scientist Jacob Hacker, writing in the US context, has called this The Great Risk Shift: whilst economic policy generates new forms and levels of insecurity, these are not understood as requiring public or collective responses of the kind exemplified in the United Kingdom by the creation of the National Health Service. Rather, public policy and public understanding regard these risks as matters of individual or localized responsibility; risks are no longer to be shared, and cross-subsidies are anathema; they simply reward the undeserving. In 1998, Anthony Giddens (in)famously wrote about replacing the welfare state with a social investment state, in order ‘to develop a society of “responsible risk takers”.’ For many people, this has meant replacing the welfare state with a no-second-chances state. Social scientists should take the latter concept more seriously. An example of the discursive shift I am talking about: one of several articles from a research programme organised around the concept of community-level resilience explored the characteristics of economically disadvantaged Parliamentary constituencies with relatively low mortality rates relative to other constituencies with similar levels of disadvantage. The authors identified this policy implication: ‘If some areas can resist the translation of economic adversity into higher mortality, other areas can learn from their policies and approaches, so that they are better protected when economic recessions arrive’. Note the language here: economic recessions ‘arrive’, like the swallows at Capistrano; there is no suggestion that recessions reflect either exercises of economic power or the consequences of past policy choices. The article in question appeared in 2007, so this latter point is of special significance given what we learned shortly afterward about the inequitable global reach of negative externalities associated with financial deregulation in a few high-income countries. A focus on resilience at the individual level diverts attention from the realities of life on a low and precarious income, and from the fact that in much of the high-income world – certainly in the United Kingdom – whatever opportunities for ‘overcoming stress or adversity’ people living in such circumstances might have are being cut away at the community level. Far from reinforcing capacities that might sustain resilience, post-2010 public policy in the United Kingdom has systematically attacked them, notably draining resources from both local economies and local authority budgets. For example, researchers at Sheffield Hallam University’s Centre for Regional Economic and Social Research (CRESR) have shown that by 2021, post-2010 benefit reforms will be sucking close to £1000 per working-age person per year out of some of the poorest local authority areas in Britain. That is an annual impact, on areas some of which are poorer than any regions elsewhere in northern Europe. The impacts on households’ ability to pay the costs of daily living have been devastating, driving many deeper into debt and into reliance on food banks. The effects have been exacerbated by cuts in central government funding to local authorities, crippling services that are disproportionately relied upon by those on low incomes whilst having little or no effect on affluent residents of leafy places. Almost 30 years ago, former US politician Robert Reich characterised this pattern as the ‘secession of the successful’. If one tried to design a strategy of undermining the ability of local areas or communities to resist the ‘translation of adversity into higher mortality’, it would look quite a lot like post-2010 governments’ approach to providing social protection and financing local government. I presented a less well developed version of this argument late in 2014, at a National Institute for Health Research School for Public Health Research annual scientific meeting. (Its content may explain why I have not been invited back.) Unbeknownst to me Public Health England, whose website describes it as ‘exist[ing] to protect and improve the nation’s health and wellbeing, and reduce health inequalities’, published a set of priorities that called for ‘developing local solutions that draw on all the assets and resources of an area, integrating public services and also building resilience in communities so that they take control and rely less on external support’. This, after many years of debilitating policies that redistributed economic resources upward and to wealthier regions of the country. What else is there to say? 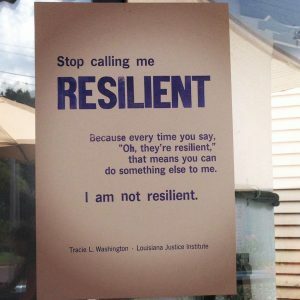 To restate the point: the concept and vocabulary of resilience subtly but inexorably direct attention – and assign responsibility for ‘taking control’ – to people and communities who suffer the consequences of choices made and policies adopted far away, over which they had little or no control. In stage magic, this is called a misdirection: it distracts the audience from what is really going on. That may not be the intention, but it most certainly is the effect. Public health researchers and practitioners have a professional responsibility to see through the deception, and to help others to do the same. In 2015, my colleague Clare Bambra and I published a book subtitled neoliberal epidemics. Since then, the destructive consequences of ‘austerity’ in the United Kingdom, where I live and work, have underscored the value of this critical perspective. So, too has the extent to which austerity and tropes like ‘scarce resources’ have become normalised in the official and professional discourses of public health. I put the terms in quotation marks to emphasise that the scarcities in question are highly selective; resources are abundant for the priorities of the powerful – think HS2, which is at least in part a welfare programme for propertied money launderers along the planned route – among many other examples. Yet at the same time, many public health researchers and practitioners are reluctant to engage with neoliberalism as a political phenomenon. I recently participated in a workshop in which some accomplished researchers simply refused to talk about it. Precarious employment status is one reason, but in various contexts I have observed a lack of familiarity with the term itself, and its core propositions. Unlike some academic colleagues, I have argued that there is a set of core propositions that are relatively easy to identify, especially once we recognise that history matters and a trajectory can be observed leading (at least) from the establishment of the Mont-Pèlerin society in 1947, through the installation of the Pinochet dictatorship in Chile in 1973 and the election of Thatcher and Reagan at the end of that decade, to the current context of homicidal austerity in the UK and elsewhere. Anyone who questions the use of the adjective ‘homicidal’ just has not been paying attention. I will address this issue in more detail in a future posting. There follows a list of sources for those interested in exploring neoliberalism further, building on a list developed for a doctoral candidate I advise. Many of these sources have nothing directly to do with health. Answering the ‘what’s all this got to do with health’ question relies on a much larger literature on social determinants of health, Some of the sources draw on this literature, and WHO’s training manual on Health in All Policies is a valuable starting point. Comments and suggestions for additions to the list are welcome! Birch, K. (2015). Neoliberalism: The Whys and Wherefores – and Future Directions. Sociology Compass, 9, 571-584. Brodie, J. (2015). Income Inequality and the Future of Global Governance. In S. Gill (Ed. ), Critical Perspectives on the Crisis of Global Governance: Reimagining the Future (pp. 45-68). London: Palgrave Macmillan UK. Evans, P. B. & Sewell, W. H. (2013). Neoliberalism: Policy Regimes, International Regimes, and Social Effects. In P. A. Hall & M. Lamont (Eds. ), Social Resilience in the Neoliberal Era (pp. 35-68). Cambridge: Cambridge University Press. Farnsworth, K. & Irving, Z. (2018). Austerity: Neoliberal dreams come true? Critical Social Policy, 38, 461-481. Fraser, N. (2017). From Progressive Neoliberalism to Trump—and Beyond. American Affairs, 1, 46-64. Fudge, J. & Cossman, B. (2002). Introduction: Privatization, Law, and the Challenge to Feminism. In B. Cossman & J. Fudge (Eds. ), Privatization, Law, and the Challenge to Feminism (pp. 3-40). Toronto: University of Toronto Press (important source on the multiple dimensions of ‘privatisation’). Goodman, P.S. (2018, May 28). In Britain, Austerity Is Changing Everything. New York Times. Retrieved from: https://www.nytimes.com/2018/05/28/world/europe/uk-austerity-poverty.html?hp&action=click&pgtype=Homepage&clickSource=story-heading&module=first-column-region&region=top-news&WT.nav=top-news. Horton, R. (2017). Offline: Not one day more. The Lancet, 390, 110 (eloquent must-read critique by the editor of The Lancet). Jones, D.S. (2012). Masters of the Universe: Hayek, Friedman, and the Birth of Neoliberal Politics. Princeton: Princeton University Press. Kentikelenis, A. E. (2017). Structural adjustment and health: A conceptual framework and evidence on pathways. Social Science & Medicine, 187, 296-305. MacLean, N. (2017). Democracy in Chains: The Deep History of the Radical Right’s Stealth Plan for America. New York: Viking. Marchak, P. (1991). The Integrated Circus: The New Right and the Restructuring of Global Markets. Montreal: McGill-Queen’s University Press (indispensable historical source on the early policy initiatives that advanced neoliberal globalisation). Metcalf, S. (2017, August 18). Neoliberalism: the idea that changed the world. Guardian. Retrieved from: https://www.theguardian.com/news/2017/aug/18/neoliberalism-the-idea-that-changed-the-world. Phillips-Fein, K. (2009). Business Conservativees and the Mont Pèlerin Society. In P. Mirowski & D. Plehwe (Eds. ), The Road from Mont Pèlerin: The Making of the Neoliberal Thought Collective (pp. 280-304). Cambridge, MA: Harvard University Press. Powell, L. F. (1971). Attack on American Free Enterprise System. Washington, DC: US Chamber of Commerce. Retrieved from: http://law.wlu.edu/deptimages/Powell%20Archives/PowellMemorandumPrinted.pdf (a key historical turning point; Powell was later appointed to the US Supreme Court by Richard Nixon). Schmidt, V. A. (1995). The New World Order, Incorporated: The Rise of Business and the Decline of the Nation State. Daedalus, 124, 75-106. Schmidt, V. A. & Thatcher, M. (2014). Why are neoliberal ideas so resilient in Europe’s political economy? Critical Policy Studies, 8, 340-347. Schrecker, T. (2016). ‘Neoliberal epidemics’ and public health: sometimes the world is less complicated than it appears. Critical Public Health, 26, 477-480. Spooner, M. (2018). Qualitative Research and the Global Audit Culture. In N. K. Denzin & Y. S. Lincoln (Eds. ), Sage Handbook of Qualitative Research (5th ed.). Los Angeles: Sage. Springer, S. (2013). Neoliberalism. In K. Dodds, M. Juus & J. Sharp (Eds.) The Ashgate Research Companion to Critical Geopolitics. Farnham: Ashgate. Steger, M.B., & Roy, R.K. (2010). Neoliberalism: A Very Short Introduction. Oxford: Oxford University Press (very useful road map). Stuckler, D., & Basu, S. (2013). The Body Economic: Why Austerity Kills. London: Allen Lane (now a classic). Stuckler, D., Reeves, A., Loopstra, R., Karanikolos, M., & McKee, M. (2017). Austerity and health: the impact in the UK and Europe. European Journal of Public Health, 27, 18-21. Wacquant, L. (2010). Crafting the Neoliberal State: Workfare, Prisonfare, and Social Insecurity. Sociological Forum, 25, 197-220. Wacquant, L. (2012). Three steps to a historical anthropology of actually existing neoliberalism. Social Anthropology, 20, 66-79. Ward, K. & England, K. (2007). Introduction: Reading Neoliberalization. In K. England & K. Ward (Eds. ), Neoliberalization: States, Networks, People (pp. 1-22). Oxford: Blackwell. Online: https://download.e-bookshelf.de/download/0000/5793/44/L-G-0000579344-0015233877.pdf. As we get old, unless we have the glow of money about us, we gradually become invisible. This is nowhere more the case than in transport policy and planning. Throughout the Anglo-American world, pedestrians and public transport users of any age are second-class citizens. Cars and those who can afford to own and run them rule, often with substantial public subsidy for the fossil fuels they consume, and sometimes more direct subsidies as well. (Good green Germany, for example, subsidized each company car to the tune of 2,500 euros per year a few years ago.) In much of the low- and middle-income world, the situation is even worse, with motorways and high-speed commuter lines claiming scarce resources that could serve the mobility needs of the disenfranchised majority. For older people, the problems posed by this transport apartheid can be especially serious, because of reduced physical mobility (we can’t walk as fast as we used to); limitations on driving; and, often, the difficulty of running a car on a fixed income. 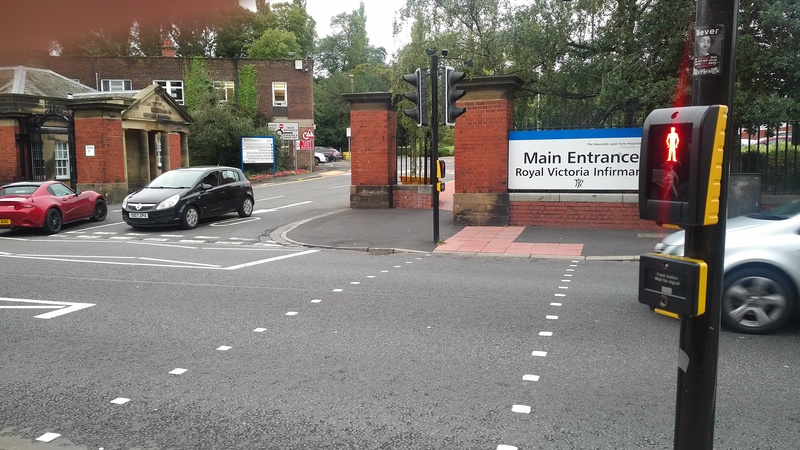 Here’s a simple example: crossing the street to Newcastle’s Royal Victoria Infirmary (above), where my office is located, the signal transitions from ‘walk’ to ‘wait’ after six seconds, and the overall length of the crossing time is 14 seconds – hardly enough for someone with reduced mobility, of any age, to cross safely. 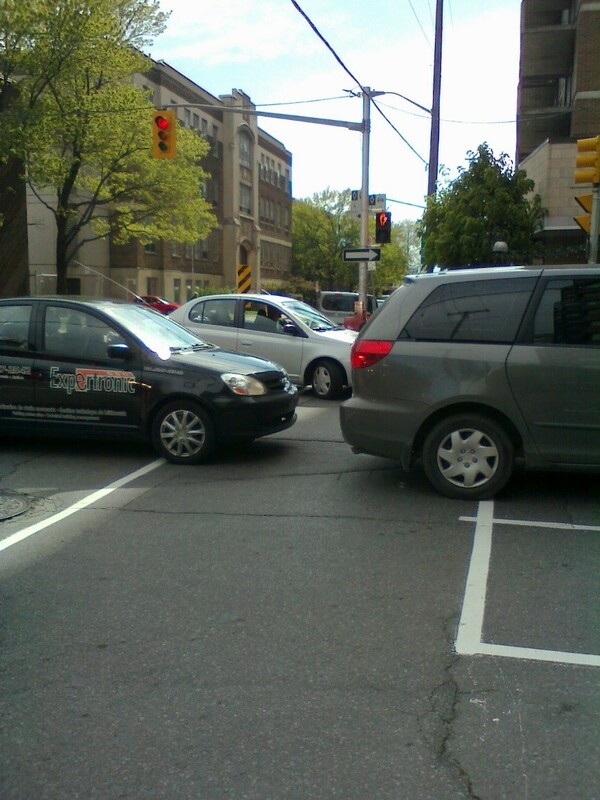 The junction itself is thoroughly confusing, even for those of us who use it regularly. Illustration 2 shows an especially hazardous traffic sewer in downtown Ottawa, Canada, where I lived and worked before moving to the United Kingdom. Predictably, several pedestrian fatalities occurred within a few hundred metres of this location in the years before I left. Many suburban junctions are even worse. 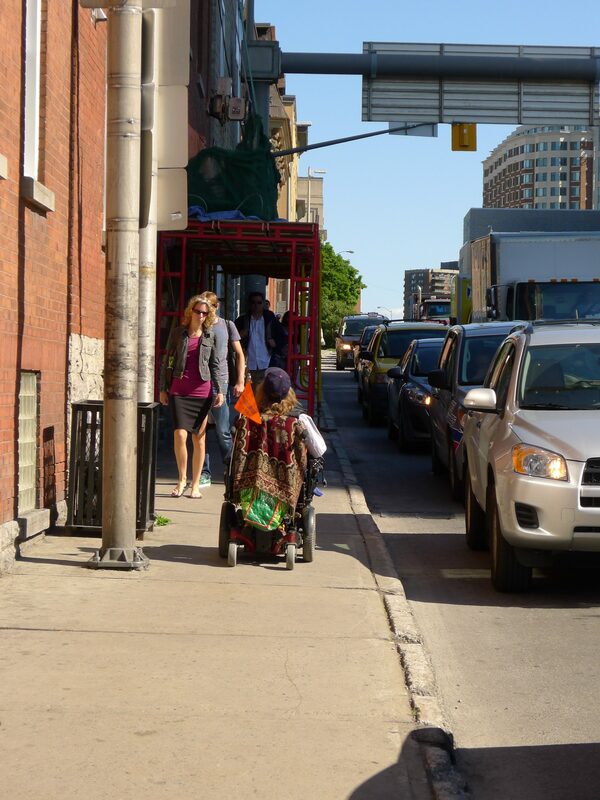 Like so many other determinants of health, the problems are socioeconomically patterned: my former Ottawa colleague Theresa Grant has done splendid work on how high-income neighbourhoods are much more ‘walkable’. Although her focus was on older people, the health and safety benefits accrue to every age group. The situation is similarly grim for bus users. US-owned Greyhound Lines recently cancelled all long-distance bus services in Canada’s western provinces, stranding a large number of rural residents and raising the question of why the provision of non-automotive mobility should be left exclusively to the private marketplace. (Even asking the question is difficult in today’s climate of market fundamentalism.) The isolation of rural residents without access to a car can be soul-destroying. In the United Kingdom, several years of savage cuts to local authority budgets, which come largely from central government, have led to widespread reductions in subsidies for bus transport, higher fares, and the cancellation of many services. 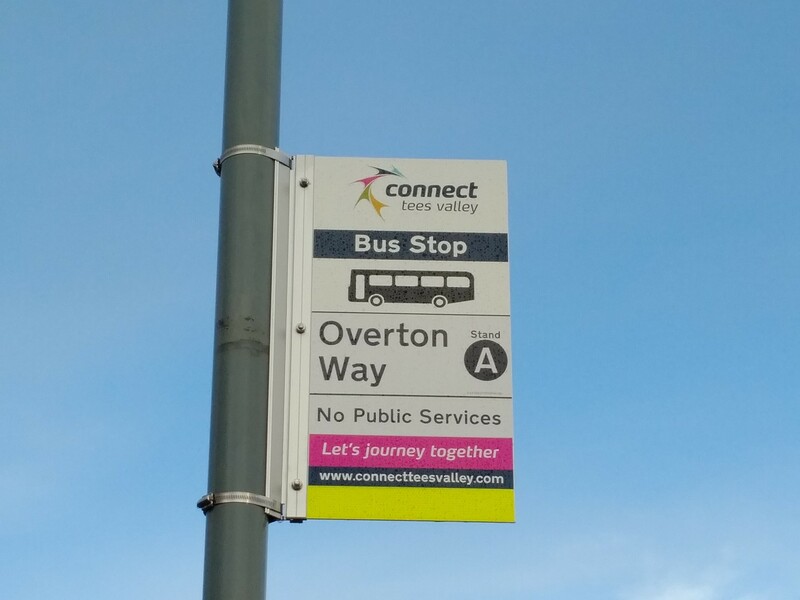 Older residents of many local authority areas are eligible for free bus service, but this means little when the service isn’t there. A bus no longer runs from the neighbourhood where I lived until December, 2018 to the local hospital. For those who don’t drive, the options are taxis, finding a ride with a friend or neighbour, or a one-kilometre walk to a bus stand in the town centre. Some researchers have long recognized the problem. Karen Lucas, of the University of Leeds, is perhaps the world’s leading authority on (and advocate for) inclusive transport; her work on ‘transport poverty’ and the need for inclusive transport policy is inspirational. She writes with typical British understatement that: ‘What is still severely lacking in terms of progress in this research domain … is its transfer into policy and practice’. If anything, policy and practice in many jurisdictions are moving in the opposite direction, probably reflecting growing inequality in the distribution of money and political influence. 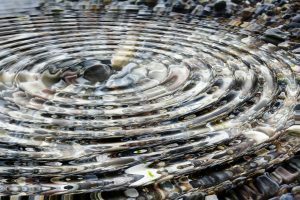 An equity-oriented phase change (in physics, the transition between states of matter) is overdue. Some short-term remedies are simple and inexpensive. Pedestrian crossing times at junctions can be lengthened. Zebra crossings (crosswalks) can be made more numerous, and better marked. Speed limits in residential areas can be reduced to 20 mph (32 km/h); this change has already been widely adopted in the United Kingdom, based on strong evidence for improvements in child safety). Once enacted into law, prohibitions on blocking pedestrian crossings (see below), like pedestrian right of way in crosswalks, can be enforced using traffic cameras and automatic fines for vehicle owners. Other remedies, like de-subsidizing fossil fuel and company cars and using road tolls to fund public transport, will take longer if they ever happen. They will require fundamental reorientation of transport policy away from the convenience of drivers, and therefore be politically conflictual. The challenges are formidable, to say the least, but population aging could make for a more receptive audience. Health professionals who care about such matters can help by insisting on the vocabulary of ‘road violence’, and foregrounding the uneven distribution of its consequences. (For example, of 408 pedestrians killed in the United Kingdom in 2015, more than half were over the age of 60, although this age group makes up just 24 percent of the total population.) In New York City, pedestrian death investigation remains a low priority. I first wrote about transport equity as a human rights issue more than 20 years ago. Although international human rights instruments make no specific reference to mobility, the overarching human rights norm of antidiscrimination is clearly relevant, as is the right to the highest attainable standard of physical and mental health – which for many is daily threatened by car-centred transport planning. To raise the visibility of non-inclusive transport, the United Nations Human Rights Council would do well to consider establishing a special procedure related to mobility in the context of the antidiscrimination norm and the economic, social and cultural rights to which most of the world’s countries have committed themselves. In 2013 the International Association for Research on Cancer (IARC), WHO’s normally cautious cancer research arm, announced that it considers outdoor air pollution a Category 1 carcinogen – that is, the category for which evidence of cancer-causing properties is strongest. (The full background monograph is available here.) 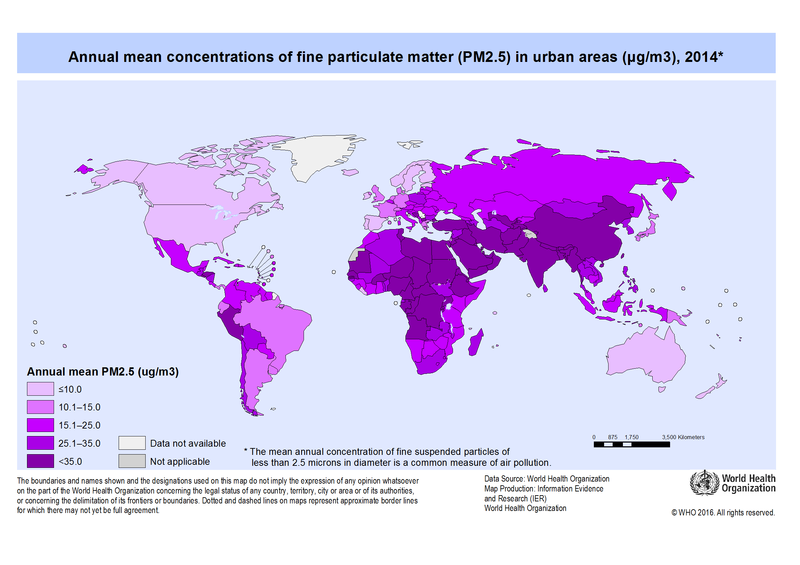 This turned out to be one of the most under-reported global health news stories of the new Millennium – like the estimate, the following year, that WHO considered air pollution responsible for shortening the lives of seven million people worldwide. In 2016, a team of WHO researchers led by Annette Prüss-Ustün updated earlier estimates of the proportion of the global disease burden attributable to the environment, concluding that 23 percent of global deaths and 22 percent of global disability adjusted life years were attributable to environmental risks, although obviously only part of this toll reflects the impact of air pollution. (I’m happy to say that we published a summary of this work in the Journal of Public Health.) Importantly, the authors made the point that environmental risks are not primarily a problem of poor countries, or poor people: ‘The lower people’s socioeconomic status the more likely they are to be exposed to environmental risks, such as chemicals, air pollution and poor housing, water, sanitation and hygiene.’ This is certainly true of air pollution, with the highest annual mean concentrations of fine particulate matter occurring in low- and middle-income countries, and the highest urban concentrations of those particulates occurring in Indian cities, with high concentrations also observed in cities like Bamenda, Cameroon and Kampala, Uganda. 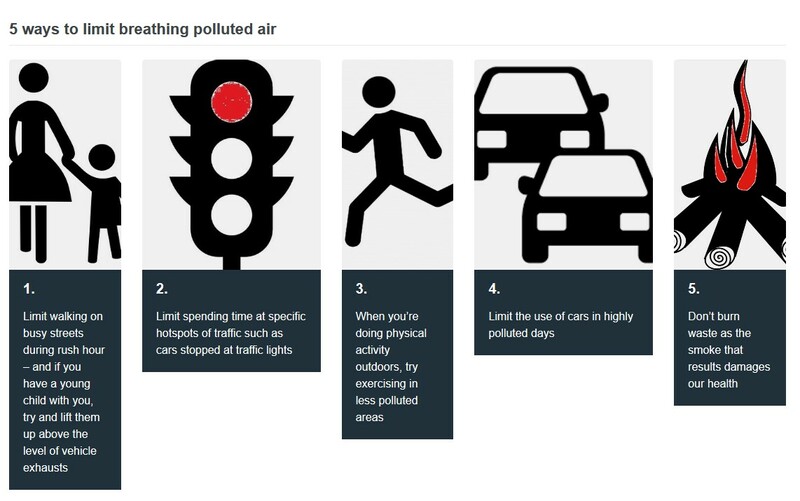 The solution to pollution is to hold your children up out of the car exhausts? Try exercising in less polluted areas? (If you live in London, maybe drive to Somerset for your jog?) One couldn’t make this stuff up. Ten years ago, the World Health Organization’s Commission on Social Determinants of Health released its final report. The authors, led by Sir Michael Marmot, began by stating that the ‘unequal distribution of health-damaging experiences is not in any sense a ‘natural’ phenomenon but is the result of a toxic combination of poor social policies and programmes, unfair economic arrangements, and bad politics’. The unsparing critique proceeded from there. In a generally laudatory review, The Economist wondered whether the Commission was ‘baying at the moon’ when it attacked such ‘global imbalances’. However, the financial crisis that was spreading across the world even as the report was released made it clear that the Commission’s analysis was spot-on. Against that background Margaret Chan, then Director General of WHO, warned the United Nations General Assembly in October, 2008 that ‘[t]he policies governing the international systems that link us all so closely together …. need to be put to the true test. What impact do they have on poverty, misery, and ill health – in other words, the progress of a civilized world? Do they contribute to greater fairness in the distribution of benefits? Or are they leaving this world more and more out of balance, especially in matters of health?’ As was often the case, Dr. Chan was far ahead of the organisation she led – and as we know, in the decade of counterproductive austerity that followed, her advice was seldom heeded. 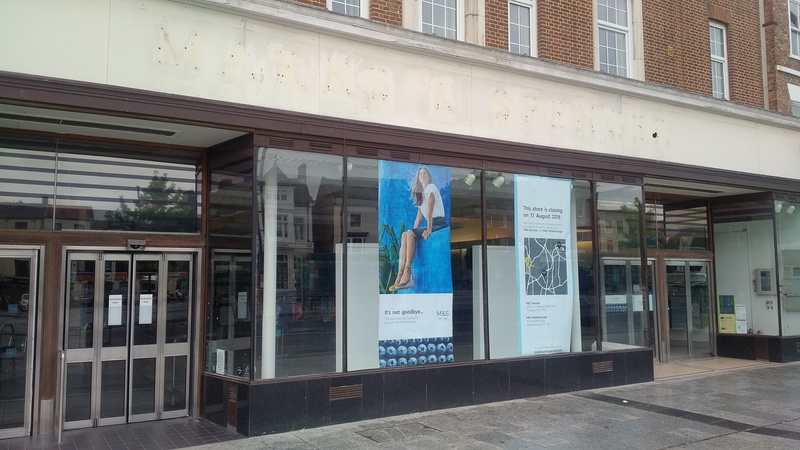 … or of promise yet unrealised? On the one hand, the international community has now signed on to at least the rhetoric of the Sustainable Development Goals – a legacy of the World Commission on Environment and Development, which reported not ten years ago, but 31. On the other hand, on most measures and in most contexts economic inequality is rising, and an expanding body of social science research suggests that the reductions in inequality that occurred in the twentieth century, in the context of two world wars that required mass mobilisation and a devastating depression, are an anomaly that is unlikely to be repeated. As I point out in the article, references to ‘social determinants of health’ in the scientific literature are increasing in number. A PubMed search turned up 75 references in 2008, rising steadily to 1042 in 2017. Research ventures like the LIFEPATH consortium are expanding the already substantial evidence base for acting on social determinants of health. Whether the strength of that evidence matters is ultimately a political issue; getting health equity and the corollary need for redistributive economic and social policies onto mainstream political agendas remains a formidable challenge, but perhaps not an insurmountable one. ‘Today, when you board the MBTA’s number 1 bus in Cambridge, it’s less than three miles to Dudley Station in Roxbury, but by the time you’ve made the 30-minute trip, the median household income in the neighborhoods around you have dropped by nearly $50,000 a year./ As the bus rolls through Back Bay, the average person around you might expect to live until he or she is 92 years old, but when it arrives in Roxbury, the average life expectancy has fallen by as much as 30 years. …. These types of disparities exist across the 7th District, and they are not naturally occurring; they are the legacy of decades of policies that have hardened systemic racism, increased income inequality, and advantaged the affluent’. If the ‘social movement, based on evidence’ that Sir Michael and colleagues envisioned after the Commission’s report is to take shape – it hasn’t, yet – this is the kind of language we need to hear, from political actors and public health professionals alike. Against this background, central government continues to commit tens of billions of pounds to megaprojects like high speed intercity rail lines and foreign-built atomic power stations. (Since this posting was written, George Monbiot has pointed out in The Guardian that a motorway from Oxford to Cambridge is likely to be added to the craziness.) If the World Health Organization’s important message of health in all policies had been taken seriously, at the very least we would have independent, peer-reviewed health impact assessments of these expenditures, including alternative uses of the funds committed and of the ‘do nothing’ option. Based on decades of experience with environmental impact assessments, these are essential. Such assessments are nowhere to be found; health economists’ ritual incantation that resources are limited so priorities must be set clearly does not apply here. This posting appears as well on Policies for Equitable Access to Health. This sounds like a rhetorical question, but decades later, it provides a useful window into twenty-first century inequalities. At the start of this decade, the best available research suggests that the median household wealth of the UK population was around £80,000. In other words, half of all UK households ‘were worth’ less than that. A knowledgeable petrolhead can stand on a kerb in London, and many other major British cities, and in ten minutes or so point out numerous cars and SUVs that cost more than £80,000. (Non-petrolhead readers who doubt this should pick up a copy of Evo or Octane at their local newsagent’s.) So the answer to Galeano’s question, in the UK context, is clearly affirmative. Such grounded comparisons arguably tell us more about the real world of inequality than abstractions like Gini coefficients. Galeano’s Open Veins of Latin America appeared in English in 1973, just before the US-supported coup d’état that turned Chile into a bloody showcase for neoliberal policies. It was a text in the undergraduate development studies course that forever transformed my provincial outlook on world affairs. I have been re-reading his more recent Upside Down: A Primer for the Looking-Glass World, which appeared 20 years ago – and, chillingly, reminds us that a 1997 New York Times article praised the coup as beginning ‘Chile’s transformation from a backwater banana republic to the economic star of Latin America’. The book swings between savagery and satire (on the media and Monica Lewinsky: ‘I think something else happened in 1998, but I can’t remember what’) and I find myself wondering how Galeano – who died in 2015 – would regard the era of Brexit, Trump, and a decade-long retreat from the always fragile institutions of democracy into the authoritarianism that repeatedly forced him into exile. He noted that Saudi Arabia’s role as one of the world’s largest customers for the arms trade appeared to confer immunity from criticism of its deplorable human rights record. Plus ça change … Already, Galeano was concerned about the spread of surveillance. ‘Is there an eye hidden in the TV remote control? Ears listening from the ashtray?’ What would he make of Alexa? Or of the fact that it is possible to access detailed personal information about almost 300,000 people (contacts of contacts) through a single Facebook account, as the New York Times has shown, and few users seem to care? Galeano memorably described globalisation as ‘a magic galleon that spirits factories away to poor countries’, noting that the resulting ‘[f]ear of unemployment allows a mockery to be made of labour rights. The eight-hour day no longer belongs to the realm of law but to literature, where it shines among other works of surrealist poetry,’ as ‘the fruits of two centuries of labour struggles get raffled off before you can say good-bye’. Here is one of several sobering reminders that key understandings of how the inequality machine operates were in place two decades (or more) ago; many social scientific advances since then involve refinement and body counting. Galeano was similarly eloquent about the dangers of finance capitalism, as it shifted power and accountability towards ‘the markets’ that often dictate terms to national governments, and spawned a proliferation of tax havens and obliging facilitators seeking to protect kleptocrats’ looted billions. How would he now regard the revelations in the Panama Papers and Paradise Papers? Or look back on the financial crisis starting in 2007 that turned into a US$14 trillion hostage taking that debilitated many national economies, ratcheted up inequality and created the political opening for the destructive post-2010 trajectory of UK austerity? Galeano correctly notes that Margaret Thatcher ‘ran a dictatorship of finance capital in the British Isles’; this was the start of a rapid rise in inequality … but what would he make of Danny Dorling’s recent argument that the situation worsened on New Labour’s watch? 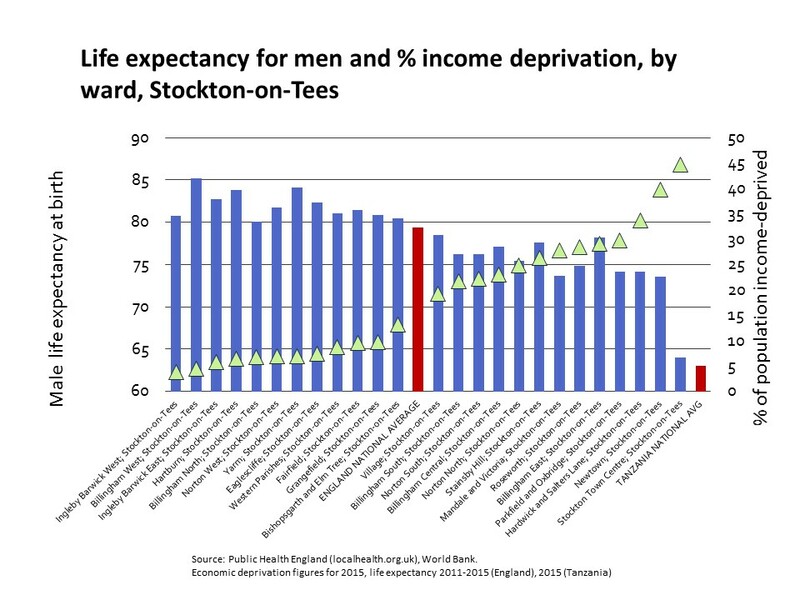 And how would he respond to an inequality in male life expectancy at birth in the small local authority of Stockton-on-Tees, where I live, that by 2015 was comparable to the difference in national averages between England and Tanzania? This is another one of those important grounded comparisons. The World Health Organization’s Commission on Social Determinants of Health reminded us a decade ago that health inequalities are underpinned by ‘the inequitable distribution of power, money and resources’. Reducing those inequalities first of all demands speaking truth about power. Galeano excelled at this, sometimes at considerable cost to his own safety; scathing description of the impunity enjoyed by the powerful was a consistent theme in his writing about Latin America, both during periods of dictatorship and after transitions to democracy. He might have been pleased by today’s partly successful challenges to the massively corrupt Odebrecht combine , while simultaneously appalled by the failure to act on the continuing scandal of tax havens and by the alliance of big data and big money in the dissemination of disinformation and ‘fake news’ through social media. This is a new form of coup d’état that social scientists are still learning to take seriously. In these times of cynicism and resignation, the example of Eduardo Galeano’s courage and moral imagination is more valuable than ever. Galeano, E. (1973; Spanish publication 1971). Open Veins of Latin America: Five Centuries of the Pillage of a Continent [tr. C. Belfrage]. New York: Monthly Review Press. Galeano, E. (1992). We Say No: Chronicles 1963-1991 [tr. Mark Fried and others]. New York: W.W. Norton [this is the source for the Caracas description]. Galeano, E. (2000; Spanish publication 1998). Upside Down: A Primer for the Looking-Glass World [tr. Mark Fried]. New York: Picador. Modern industry and commerce depend on the extraction, processing and transformation of massive quantities of raw materials, often as part of value chains that cross multiple national borders. This process is exemplified by the use of coltan (a metallic ore containing minerals essential to the production of electronics) mined in the Democratic Republic of Congo in mobile phones designed by Apple and assembled in China by contract manufacturers like Taiwanese firm Foxconn. And of course much of the world still runs on oil and natural gas, often extracted with negligible concern for environmental health impacts, especially outside the high-income world, and with subsidies even from countries that profess concerns about climate change. For the past year, North American colleagues Anne-Emanuelle Birn, Mariajosé Aguilera and (more recently) Leah Shipton and I have been investigating the under-studied question of how extractive industries and what might be called the global extractive order affect health. This has been part of the work of the Independent Panel on Global Governance for Health, an initiative based at the University of Oslo that grew out of a 2014 Lancet Commission on global governance for health. The report of that Commission on ‘the political origins of health inequity’ focused on the ‘power asymmetries’ characteristic of the relevant governance institutions, using a number of examples including the distribution of gains and losses from the financial crisis; the entitlements accorded to foreign investors by trade and investment treaties; and the concentration of power in the global food system, to the detriment of food security for many of the world’s people. Our work has kept up that emphasis, and we have taken the view that the global extractive order comprises not only mining, oil and gas – the usual suspects – but also a variety of other activities such as large-scale agricultural land acquisitions by foreign actors, and some forms of plantation agriculture. All these activities operate according to similar ‘logics of extraction’, to use Saskia Sassen’s terminology; in all of them transnational corporations and other large investors play dominant roles; and in many cases large-scale corruption associated with extractive projects drains societies of resources that could be used for more equitable development. Control over resources and the revenues they generate is also implicated in originating or perpetuating a variety of armed conflicts. So far, we have produced an open-access bibliography of more than a thousand relevant sources, available for anyone to use, and an open-access overview article in the journal Health and Place. Other work products are forthcoming, but a large-scale research initiative with more resources than we are now able to mobilise is long overdue. Currently, much of the most important (courageous, and often dangerous) work on these issues is being done by investigative journalists and by civil society organisations like Canada’s MiningWatch (Canada is a major source of mining investment, especially in Latin America) and the UK’s indispensable Global Witness. I write occasionally for an Italian blog called Policies for Equitable Access to Health. My (relatively) recent commentaries on standards of proof in public health – a crucial concept given today’s rhetoric about evidence-based policy – and about the body count associated with neoliberalism’s equation of financial worth with moral worth may be of interest to readers.